Vieil Armagnac , produit dans le bas-armagnac, dans le Gers, entre 1970 et 1979. Vintage Armagnac 1976, distilled and aged in the cellars of the GAEC Latraou. Armagnac bottled at the command stored in oak barrels. Vintage Armagnac 1979, manufactured in the region of the best Armagnac, Bas-Armagnac Armagnac bottled at the command stored in oak barrels. Vintage Armagnac 1975, distilled and aged in the cellars of the GAEC Latraou. Armagnac bottled at the command stored in oak barrels. 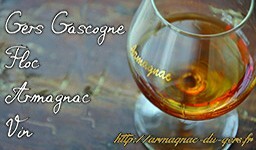 Vintage Armagnac 1973, distilled and aged in the cellars of the GAEC Latraou. Armagnac bottled at the command stored in oak barrels. Vintage Armagnac 1972, distilled and aged in the cellars of the GAEC Latraou. Armagnac bottled at the command stored in oak barrels. Vintage Armagnac 1971, distilled and aged in the cellars of the GAEC Latraou. Armagnac bottled at the command stored in oak barrels. Vintage Armagnac 1970, distilled and aged in the cellars of the GAEC Latraou. Armagnac bottled at the command stored in oak barrels. Vintage Armagnac 1974, distilled and aged in the cellars of the GAEC Latraou. Armagnac bottled at the command stored in oak barrels.